2017 was a great year for Infinity Weekends, helping thousands of party-goers find their dream locations all around the continent, from London to Prague, Ibiza to Magaluf, there was nowhere in Europe that could hide a good time from Infinity Weekends. Following on from this, 2018 has begun and holds just as much in store for those looking to get away and let loose, however, we’re here to talk to you about the future, in what great offers you can get for stag destinations come 2019. Why look so far forward? You may ask. Well, planning ahead is much more effective for holiday projects such as the ones Infinity Weekends deal with. It gives you both plenty of time to work with when deciding which events, locations and prices you’d prefer, and, it’s generally much less strenuous on your wallet, having to only pay out an initial deposit, followed by a small monthly fee leading up to the trip. On top of that, you’ll then get to spend those boring days in the office looking forward to that weekend away in Spain that’s just a few short months away. Before we jump into the sun, sand and booze of the potential locations offered by Infinity Weekends, let’s give you an overview, who they are, what they do and why. Firstly, Infinity Weekends was brought together by, in my opinion, the most appropriate people for the job; a handful of directors who were previously higher-ups working for Thomas Cook, travelling all around the globe. They then gathered up a wider group, this time looking for those who had worked in touring, around both the United Kingdom and Europe. So, from the ground up, Infinity Weekends has experience through and through, with England, Europe, travelling, oragnising and touring. Pair that with over ten years of doing what they do, working with over 150,000 travellers, and there’s not much to fault them for. Come 2019, we’ve got some top-tier party locations that the lads on their stag-do can head off to in celebration of their last few nights before one of them ties the knot. First up, we have to start with the most popular destination offered by Infinity Weekends, Benidorm. One of Spain’s most prized cities, within Alicante and off the Costa Blanca coast, we’ve got our first choice to plan your trip to when 2019 rolls around. Offering over 3,000 hours of sun each year, booming resorts and bustling nightlife, Benidorm is sure to leave you and your friends with amazing memories when it’s all said and done. What will you be doing around Benidorm? 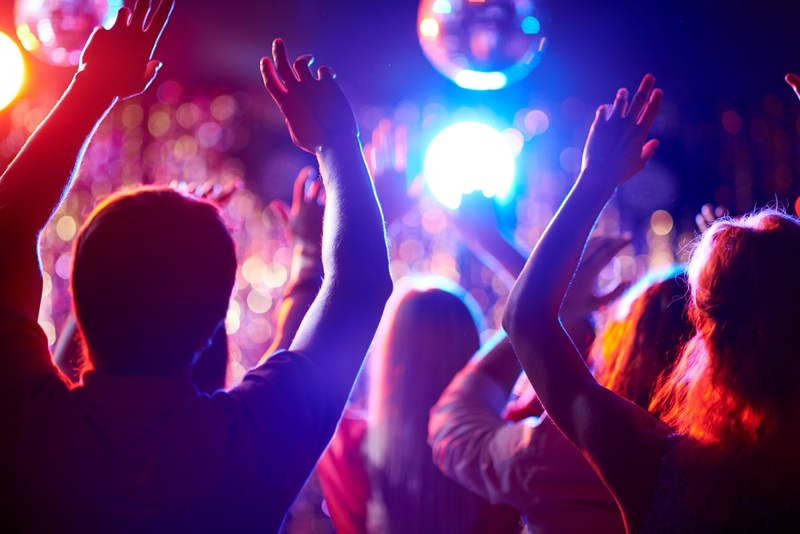 It’s the party location, full stop, for a stag do, quick holiday, or a simple weekend away; so it’s no surprise there are over 2,000 bars to be looking into, as well as over 150 nightclubs to attend after, some private, and some with their own dancers. However, if that’s not quick enough for your night, there’s the exclusive Las Vegas themed party bus that whizzes around the bright streets of Benidorm, taking you wherever you fancy on your evening out, stocked with alcohol, music and dancers. Before and after your alcohol fuelled nights out, we have even more variety, to start, boats galore; for those who want to chill on the water in a super-yacht or catamaran boat cruise, fly above and through the water on a para-glider and jet-ski, as well as hold themselves from falling under it while riding the high-octane, super-fast Sea Furious. There’s also activities for those a little less interested in the water, from jeep safaris to the Terra Mitica theme park, off-roading to go-karting, or, just a simple paintball match before you head out to the town. Beyond the sun, alcohol and partying, we have some military-grade activities available for the stag-doers wanting a little more action in their weekend. Guns, tanks, destruction, what more could you ask for? Oh right, a quality nightlife with bars galore, which is exactly what Berlin, Germany offers. Eastern Europe has access to some of the most powerful, popular and fun guns the world has to offer, and Berlin takes full advantage of this, offering the more simple clay pigeon shooting, AK-47 shooting package and the Dirty Harry Experience. Overall, if there’s a gun you want, Berlin has got it, from pistols, to shotguns to rifles, you can test them all and more. What more? Well, how about tank driving? That’s not a joke, if destruction is your group’s thing, then both a tank, and a rage room are at your fingertips, so you can destroy and smash until they call you the Incredible Hulk. If you’re not into that kind of rough and tumble, there are some calmer experiences, such as escape rooms, brewery tours, or even some bowling to charge you up before your night on the town. The Schoneburg District is one of Berlin’s must-attend areas, full of top-tier bars, clubs and restaurants, Germany is known for its dance music, so techno clubs, music bars and raves are also on the menu. Whatever it is you choose to go for, you’ll be set in Berlin for an action-packed day that’ll continue through the night making sure you see the early morning. You’ve had an overview of Infinity Weekends and what they do, as well as two suggestions on some of the best destinations to plan for your big stag-do of 2019, now it’s time to tell you why, and how much easier it can be when booking with Infinity Weekends. Let’s start with hassle, who in their right mind enjoys the stress of planning a holiday? No one, and already you can see the beauty of this wonderful service. No fussing about, no worrying, no second-guessing and no doubts about where your money is going. Infinity Weekends are trained professionals in what they do, that may sound silly at first glance, but just take a look: licensed travel agents, staff roster full of experienced travellers and tour reps, ten years of service, nothing but high-quality reviews and a near-never-ending list of activities all around the United Kingdom and Europe. As if that list wasn’t reason enough to put down a deposit and get prepping, there are two more factors at hand – first, insurance is included, up to £3 million per person via AXA, directly through Infinity Weekends. Second, the fact that no payment beyond the initial deposit is required until six weeks before the departure date, so that means you can spend months planning, deciding on the best locations and activities, while the payment plan is fully flexible for any kind of customer. Not to mention, if there’s something you want to do in Berlin or Benidorm that isn’t on the list, all you have to do is let your personal group representative know, and they’ll get right on searching the best deals for you, it really couldn’t be easier. Our third and final suggestion for some of the best stag-do locations of 2019 is Budapest, Hungary. Although somewhat obscure to most, Budapest is on our list because of its addition to variety, we’ve had the sun and the sea of Benidorm, and we’ve had the shock and awe of Berlin, but what does Budapest offer? A more relaxed, interesting, yet still alcohol-based experience for the lads to get stuck into, exploring the culture, the sights and the drink of Hungary. Firstly, tours, there are plenty of local breweries around Budapest, and many of them offer tours to look around, learn and down a few pints while you’re at it. Or if you want to go straight to the boozing, there’s beer tasting and a beer-bike that roams the streets of Budapest. Mix this in with a culinary walking tour, sampling the finest foods the country has to offer, and you and the boys are already fed and watered before your night out. A trip to one of the city’s finest casinos could be a great place to start, followed by a bar crawl, visit to a VIP club, a more chilled scout around the market, or, an all you can drink meal. Whatever it is you choose to be doing in Hungary, alcohol better be your main focus, because beer is everywhere, in varied and large supply. With a simple payment plan, experience, variety of locations, ever-growing list of activities and such a high-standing with all of their customers, it’s hard to pit an argument against the services of Infinity Weekends. They’re friendly, fast, helpful and unrivalled in an area of the touring industry they’ve been at the top of for over ten years. For a closer a look at what’s on offer, check www.InfinityWeekends.co.uk or call them about your potential plans for a quick quote at 0800 994 9934 to be paired with a representative and start your journey towards your epic stag weekend that lies in 2019.